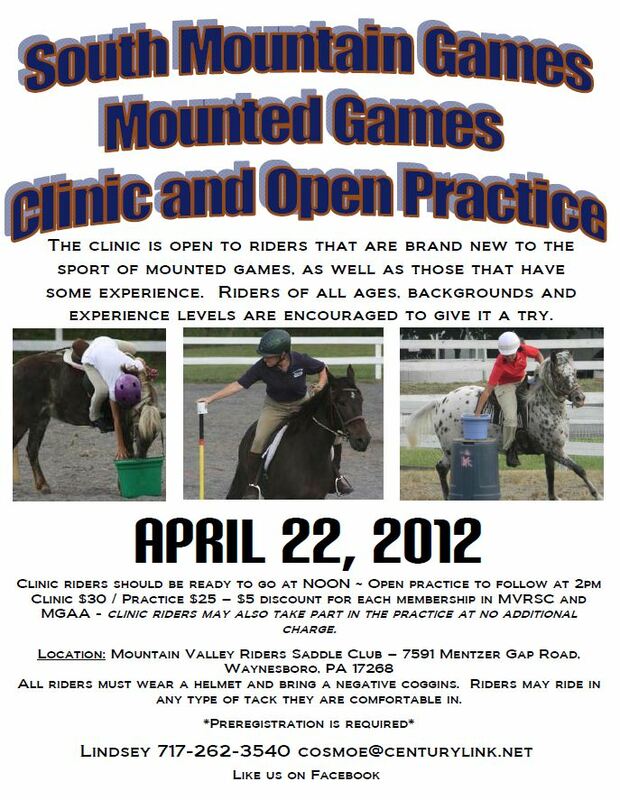 My friend Lindsey is starting a games group called South Mountain Games located in south central PA. She is modeling it much like Blue Ridge Games and is hoping to build a group of local games riders to practice with, form teams with and develop an equipment set with. She would like to be able to host their first competition this fall. Next month Lindsey will host their first clinic and practice session. Today I helped her with a flyer for it.